The Reaching & Educating At-risk Children (REACH) India project seeks to attract out-of-school children to the classroom and concurrently enhance the quality of basic education so that it provides a real and valuable incentive for vulnerable children to continue in school. 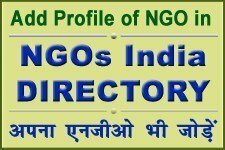 The project aims to achieve the dual goals by strengthening the capacity of Indian NGOs in selected urban and rural areas. The REACH India initiative is funded by the United States Agency for International Development (USAID) and complements the Government of India’s Sarva Shiksha Abhiyan or Universal Elementary Education (UEE) Programme. REACH India is scheduled to run through till September 2007 and focuses on disadvantaged, vulnerable children both in rural and urban areas. The project will cover Delhi, Kolkata, Mumbai and parts of Jharkhand, Chhatisgarh and North Kamataka. 3 – 14 age group children at risk. Project funded under the grant must support NGOs working to improve the access, enrollment and retention of vulnerable children in schools or preparing at-risk children for potential entry into the formal education system. Direct Service Delivery Grants : REACH India will provide funds and technical assistance to NGOs for direct delivery of educational service to vulnerable children in formal and alternative educational programmes. 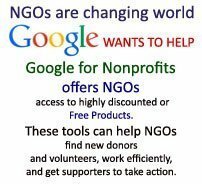 (c) Provide sub-grants to the NGOs they are mentoring for direct service delivery. 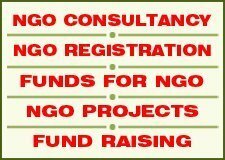 Example of capacity building include programme and financial management, planning, community development, report writing, proposal writing, performance monitoring and educational services. Having working experience with minimum at least 10 lakh rupees budget per year for last 3 years etc. Region wise applications are invited by REACH India H.Q. (On Invitation).